Excuse Us,Who is Trying to Divide America? Over the weekend, several of us noticed a lot of conservatives posting links to an article on Sarah Palin’s visit to Wisconsin for a tax day rally. At the event, Palin noted her support for Wisconsin Governor Walker in his much publicized fights with his state’s unions. We typically don’t pay too much attention to Sarah Palin. We think she has a lot of star power and can bring in a big crowd. So can a lot of people…and we wouldn’t vote for any of them for President of the United States. Seriously? You’re trying to tell us that others are the ones trying to divide America while you are telling a group of people to go to hell? Look, we know that amped up political rhetoric isn’t going anywhere–especially since it seems to be the only way to get through to the average voter. But maybe don’t try to convince us you aren’t a sheep in wolves clothing while you are doing it. We ran some quick numbers from the 2010 Congressional candidate election results on the new Congressional District boundaries. We put counties where their majority is which does not give a completely accurate picture of the districts but it does provide estimates. For District 1, we included the Michigan City portion of LaPorte County. 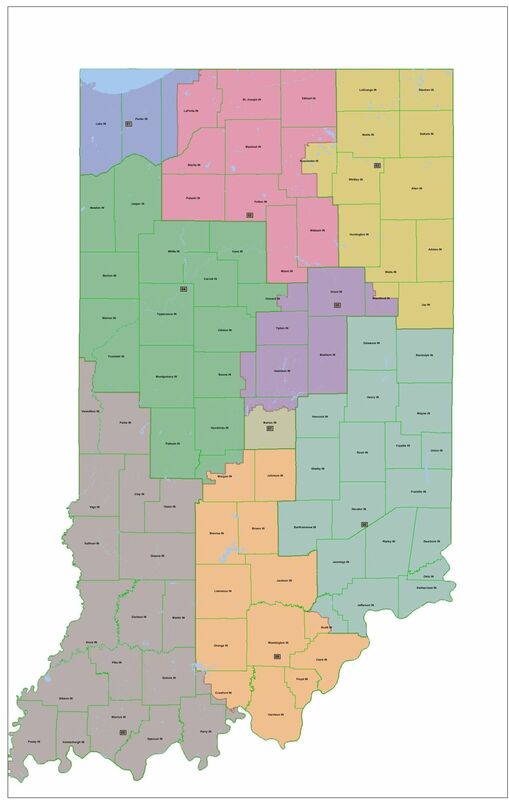 In District 2, we included all of Kosciusko County. That means District 3 did not get any of it. For District 4, we did not include any the portions it received in Morgan or Howard County. Those would probably offset each other and it is a pretty Republican district regardless. In District 5, we included all of Howard County and Washington, Lawrence and Pike Townships in Marion which will likely make it a bit more Democrat leaning that it will turn out to be. In District 6, we did not include the portion of Scott County slotted to be there. District 7 does not include the sections we gave to District 5 which will in turn make it seem slightly more competitive than it actually will be. 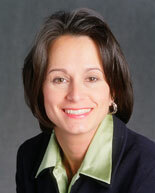 District 8 did not receive any of Crawford County that it is slotted to receive. Finally, District 9 received all of Scott and Crawford counties when it will receive half of each. Over at WSP, we’ve been working the phones for the last few weeks to get an idea of the maps. Here is what we’ve found out. Watch the press conference live today at 11:30 H/T Capitol & Washington. We’ll post this afternoon with our analysis of the maps. UPDATE: Sounds like the Senate GOP maps will match the House GOP maps. Here are links for the Congressional map and the Senate map from Senate Republicans. H/T @indgop. You may or may not have noticed last week that the Kennedy campaign launched an attack ad on the interwebs on Mayor Greg Ballard. The ad was regarding job commitment numbers released by the Ballard administration and used portions of the RTV6 “news” report from Kara Kenney. The campaign publicized the web ad by advertising on several news websites including the IndyStar, Indianapolis Business Journal and Jim Shella’s political blog. Not surprisingly, RTV6 told the Kennedy campaign to pull the web ad. This is Campaign 101 so we are really suprised the campaign made the mistake. Even worse, their candidate is a LAWYER. Now we know it was made blatantly obvious in the 2006 Prosecutors race that Melina Kennedy has absolutely no courtroom experience but that doesn’t mean she doesn’t have a clue about the law. This incident, on the other hand, seems to indicate that she doesn’t. Add this to the fact that the Kennedy campaign has now officially gone negative in April, more than seven months before the election, and we’re declaring it amateur hour over at Kennedy campaign headquarters.